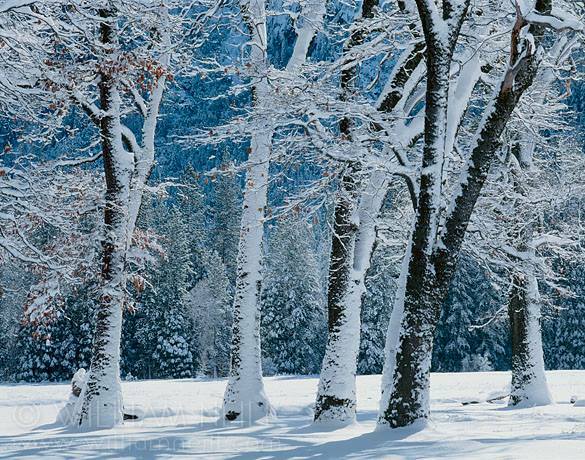 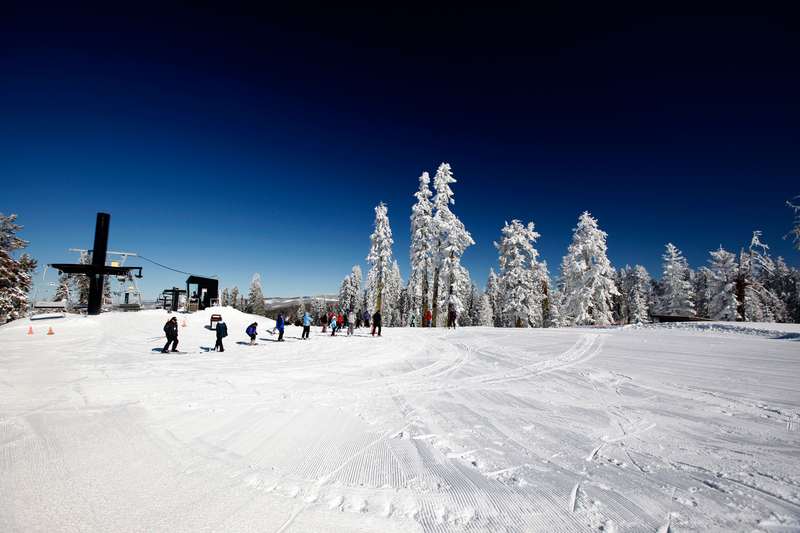 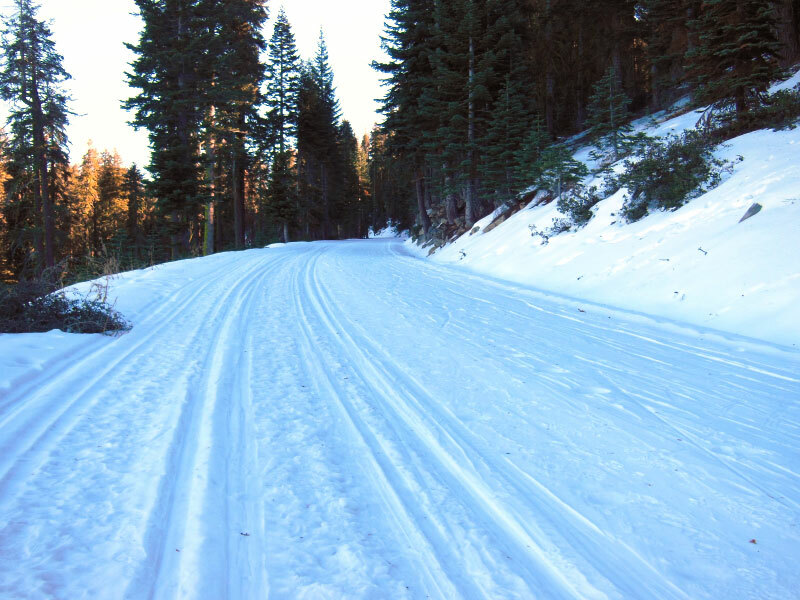 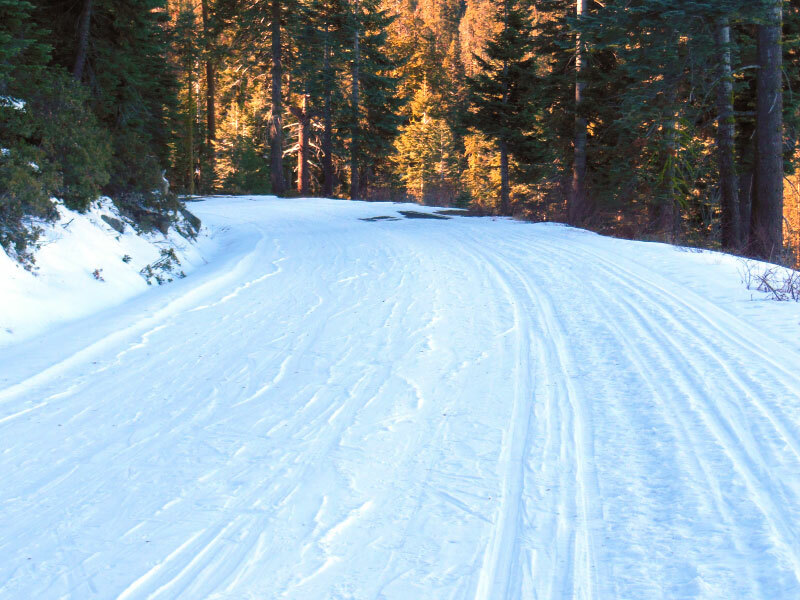 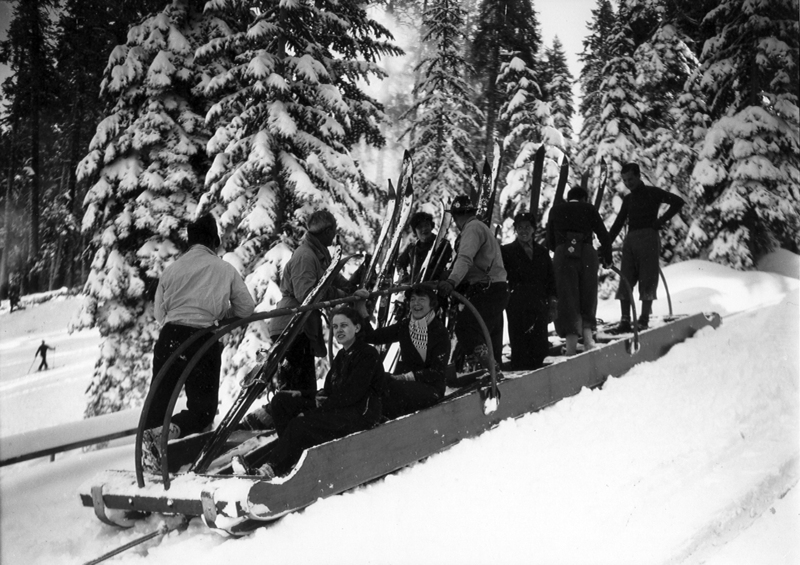 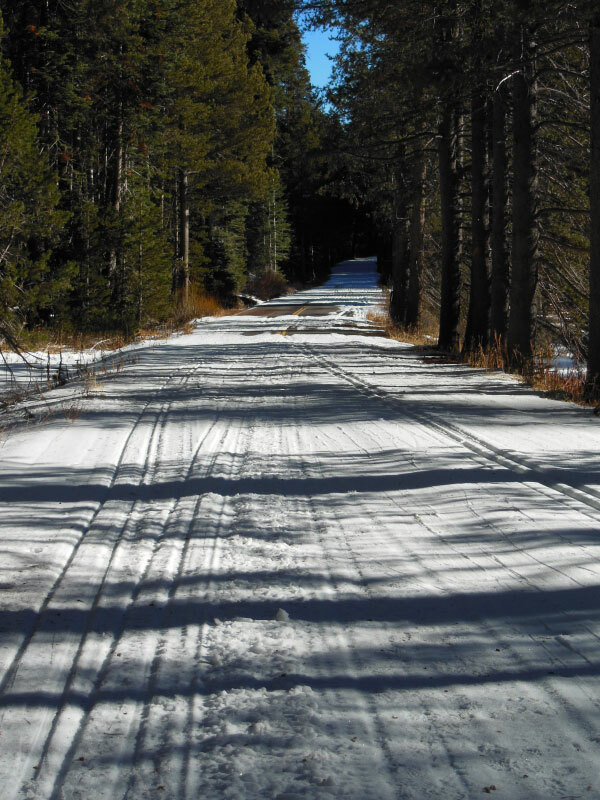 As California’s original ski resort, Badger Pass Ski Area has been a favorite winter activity in Yosemite National Park for generations of families. 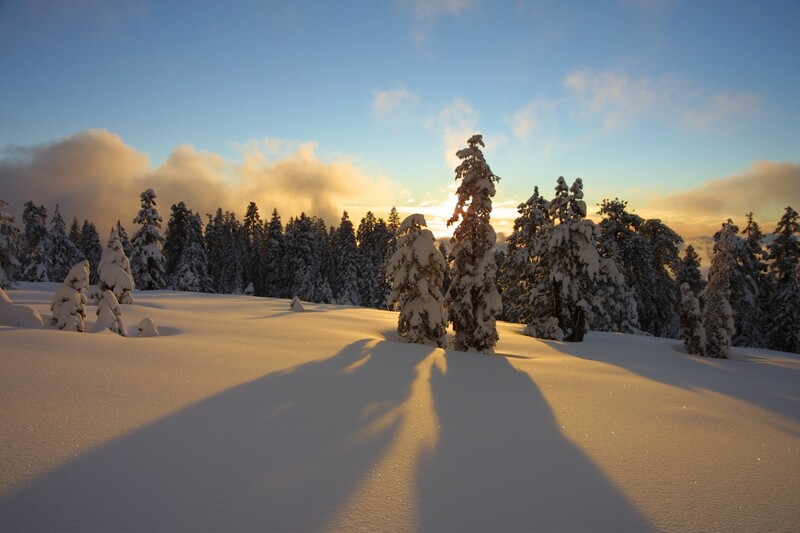 We invite you to enjoy some of our favorite Badger Pass photos, all taken by long-time Yosemite resident and acclaimed photographer Chris Falkenstein. 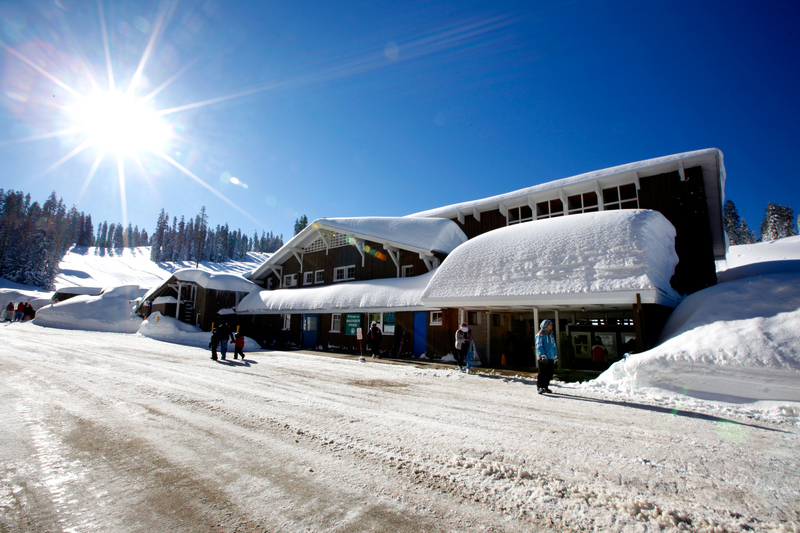 One of the many beautiful clear days at Badger Pass. 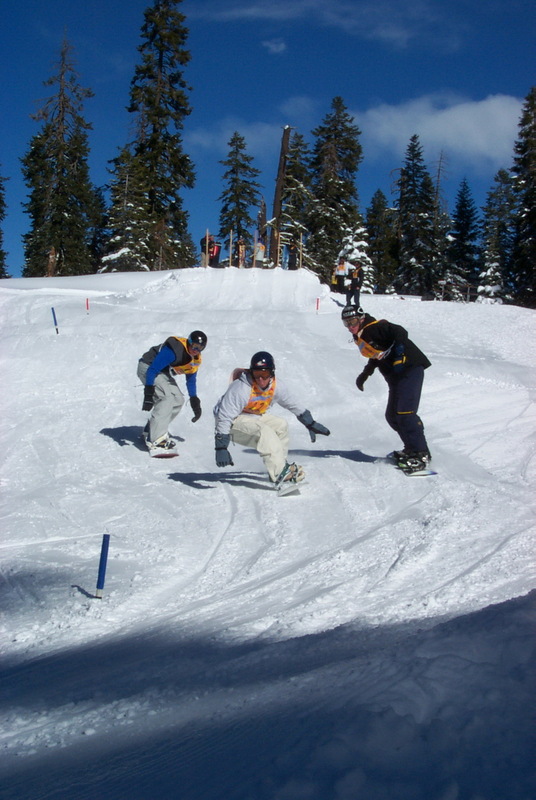 Skiers get ready to take to the mountain. 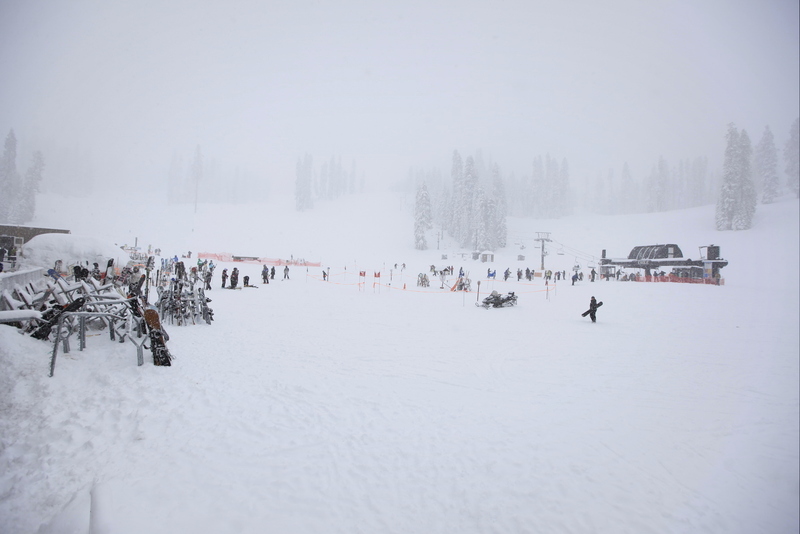 The base of the mountain on a snowy day. 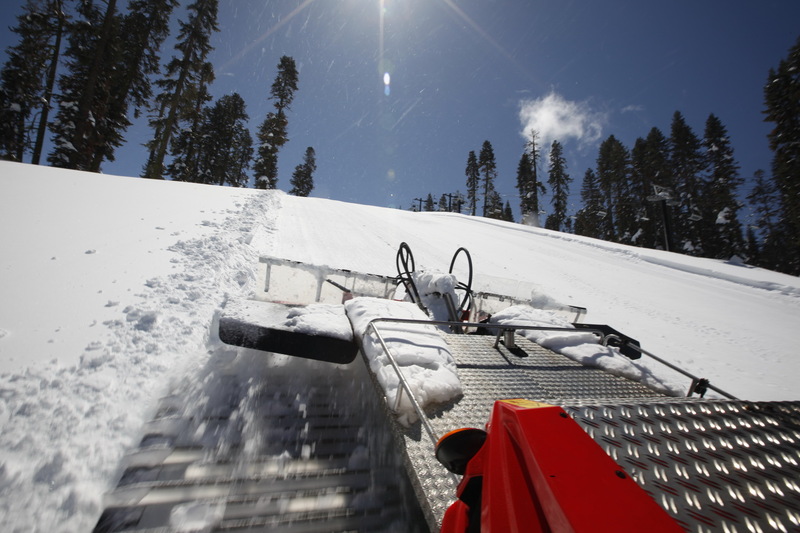 A groomer prepares the runs. 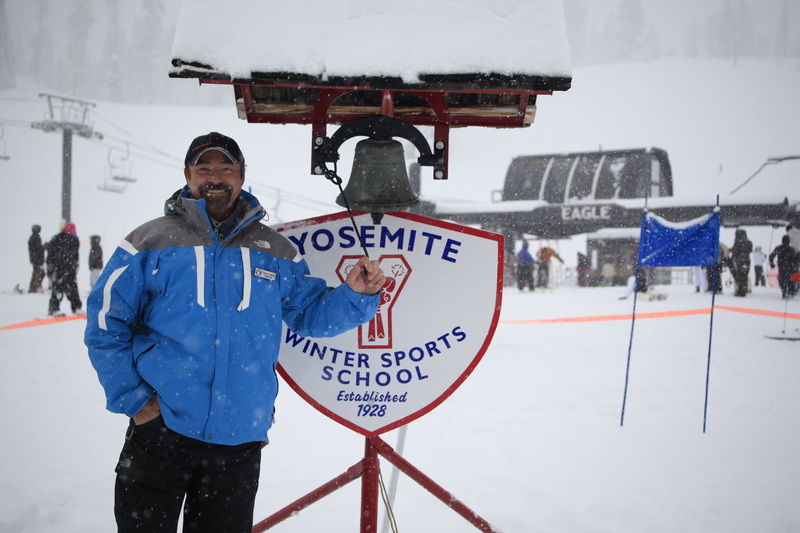 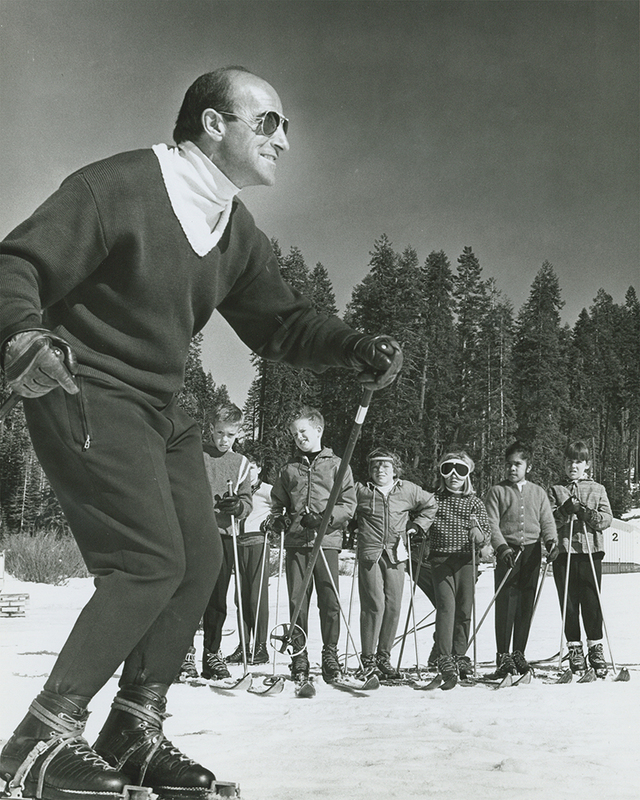 Chuck Carter, head of Yosemite’s Winter Sports School, rings the ski school bell. 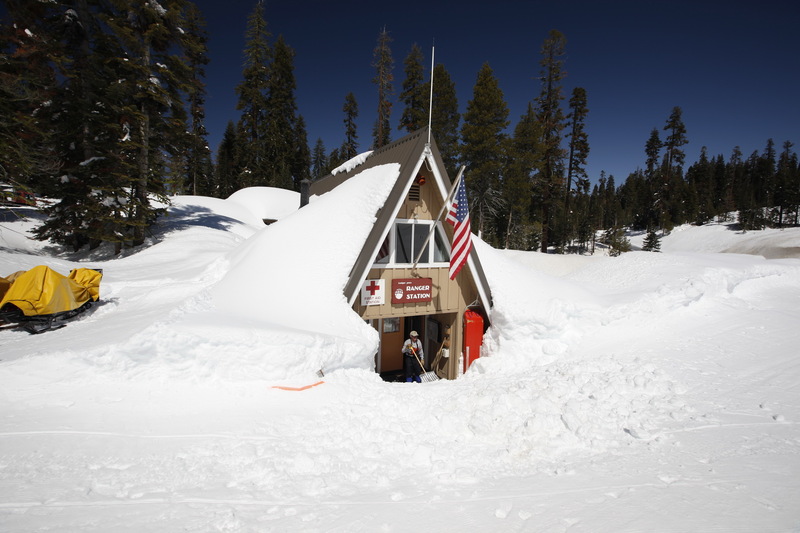 The ranger station after a big snow.